Flexible composite core for greater projection and full round tone. Titanium trebles for brightness and projection. Hard Tension for a rich, bright tone, increased resistance and strong projection. 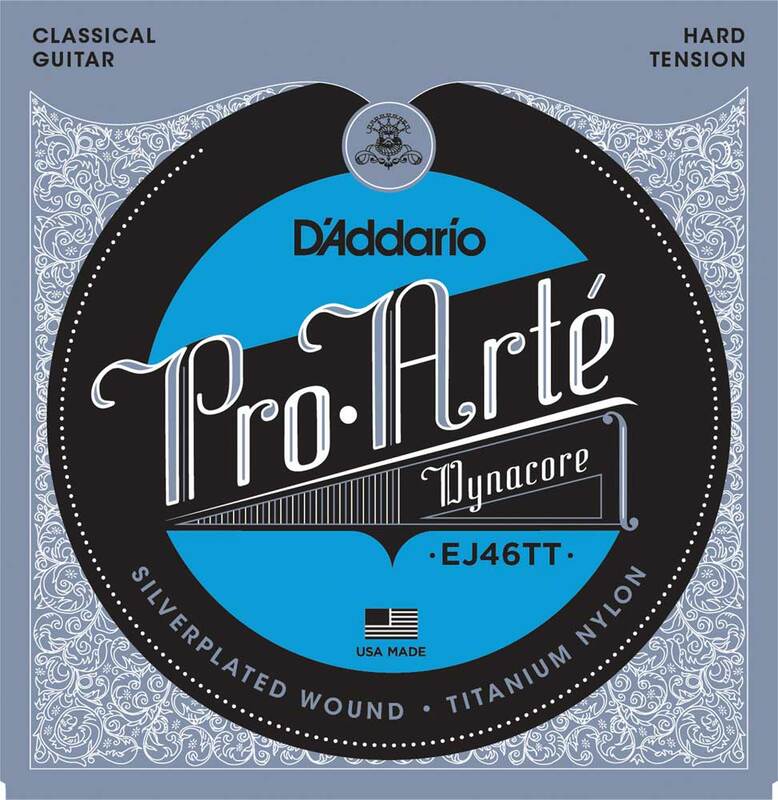 D'AddarioPro-Arté DynaCore sets are constructed using the exclusive multifilament stranded core material with a revolutionary winding technique. The result is a truly unique and contemporary tone ... rich, round and full with dramaticallyimproved string life (last 2-3 times longer), tuning stability and consistency. This set is complimented by the titanium trebles (bright and projecting) for optimal tonal balance. Additionally, each treble string is laser sorted for unsurpassed intonation consistency. Made in the U.S.A. for the highest quality and performance.